The experimental XB-70 Valkyrie was a high-altitude supersonic bomber built in the late 1960s. Capable of reaching Mach 3 at an altitude of 70,000 feet, the Valkyrie was and is one of the most impressive aircraft ever built. The XB-70 was a delta wing with a slab-sided fuselage underneath the wing area containing the "six-pack" of GE J-93 engines, the bomb bay, and landing gear; and a long, thin forward fuselage with canards and a shape-shifting windscreen. One of the most notorious features of the XB-70 were its wingtips that could droop up to 65 degrees in order to take advantage of a phenomena known as compression-lift. Drooping the wingtips reduced the area of the delta, counteracting a delta-wing's tendency to shift the lift rearward and reducing trim-drag. 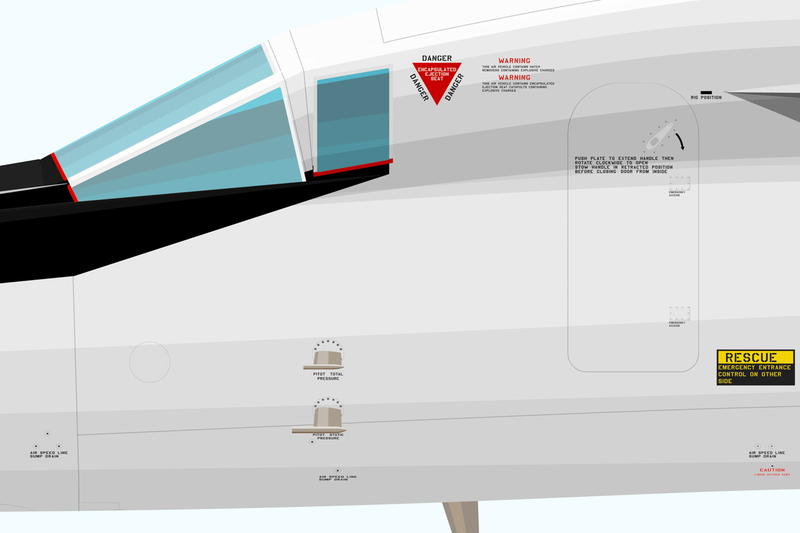 They also acted as additional vertical stabilizers, all-in-all allowing for faster, more efficient flight. 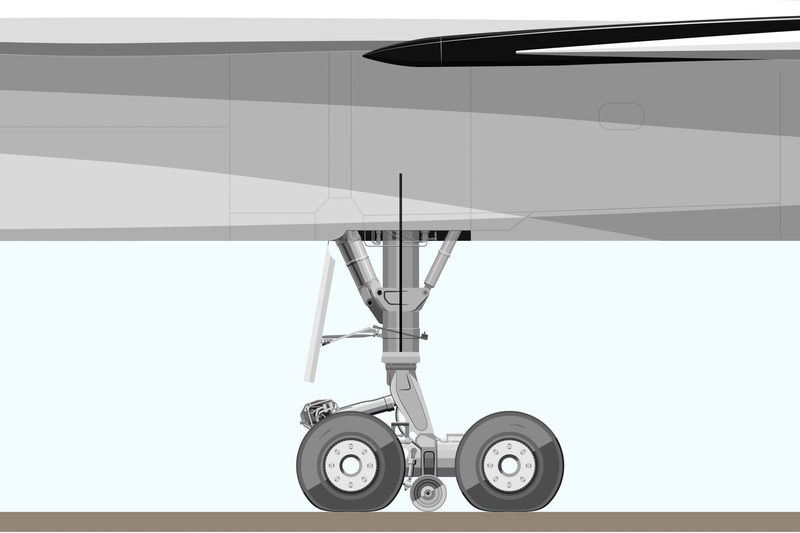 This is specifically an illustration of XB-70A 20207, the second Valkyrie built. This plane was lost in a tragic accident on June 8, 1966, when an F-104N chase plane crashed into the XB-70's vertical stabilizers during formation flight. The pilot of the F-104N, Joe Walker, died when his plane exploded after the impact. Al White, the test pilot from North American Aviation, was able to eject and survived, though he was seriously injured. His co-pilot Maj. Carl Cross was not able to eject in time, and died when the Valkyrie crashed.